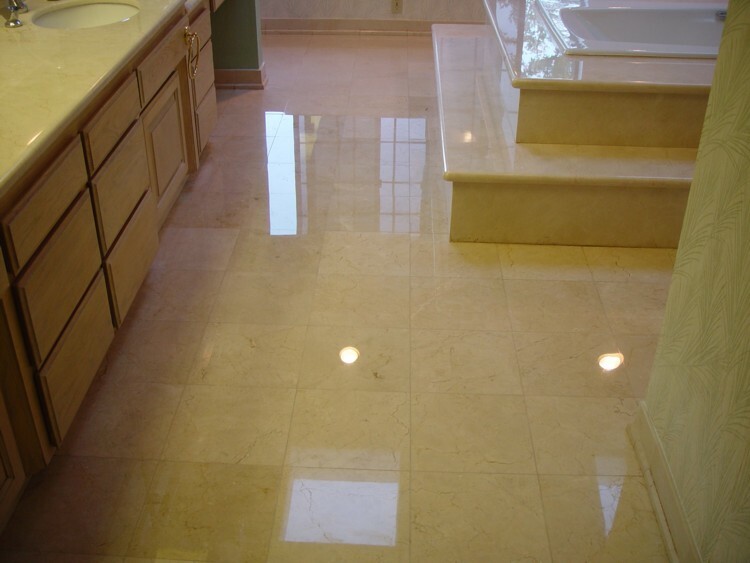 Natural stone restoration & tile care from NuTech including marble polishing, travertine tile cleaning, sealing and paver refinishing. Camarillo since 1988. This stone is in need of cleaning and sealing. It has suffered years of abuse. There is an accumulation of deep down dirt and grime. 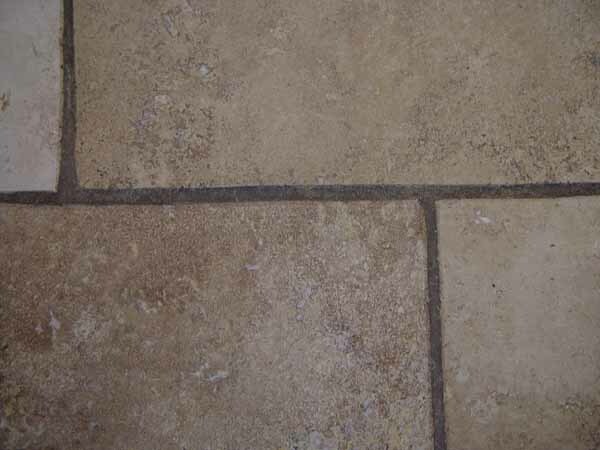 This stone floor is in need of a deep cleaning. This is not bad for a first pass of our cleaning equipment. The owner wasn't sure if it really need cleaning??? On our way to a clean stone. Clean and ready for a good application of sealer! This bathroom has been repeatedly washed with an inappropriate cleanser. 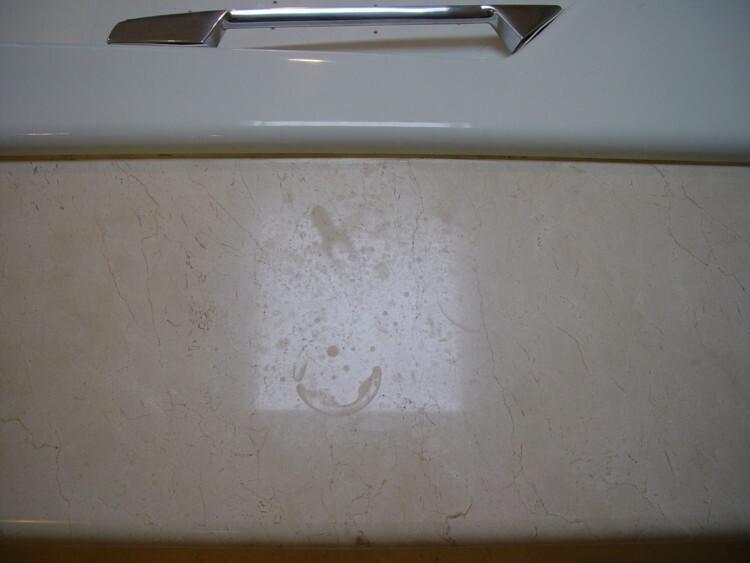 It seems that the housekeeper thought vinegar and marble went well together. This is what happens when you spill bowl cleaner on your marble. Dull and dirty. The stone feels like sandpaper. Incidentally, the white caulking probably wasn't the best choice. 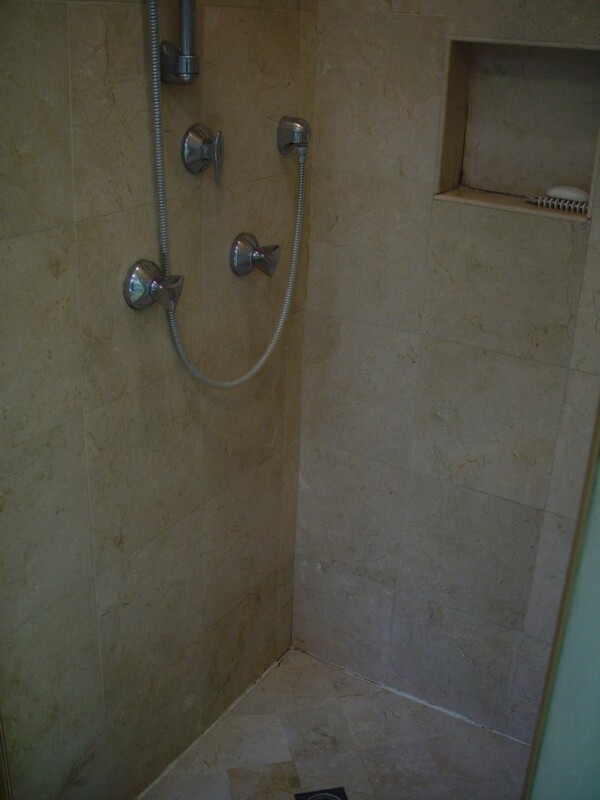 You shouldn't be ashamed if your shower looks like this. Just think of us as your doctor. We've seen it a million times before and worse. 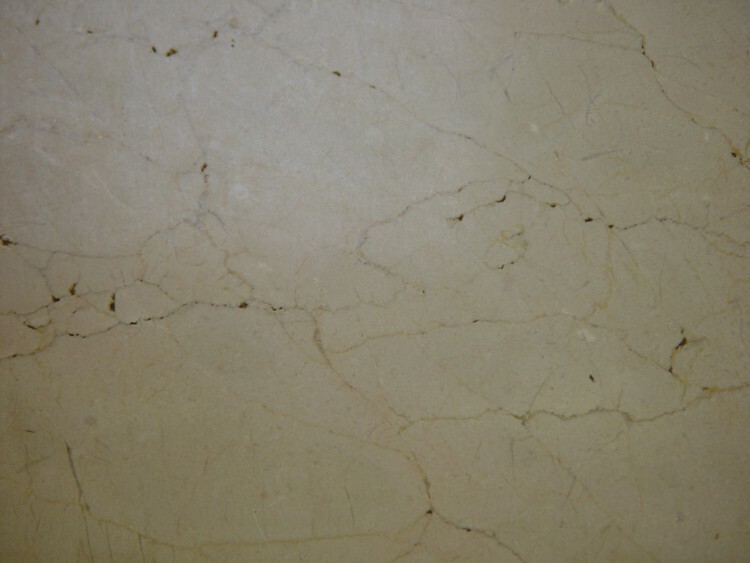 Every Crema Marfil surface has some of this eventually. So many products in the bathroom are mildly acidic and cause those "water marks" that can't be washed away. This is spalling. The minerals that makeup the veins of a stone are sometimes weaker and tend to pop like this especially when exposed to moisture. This will be much less evident after this floor is ground flat, honed and polished. Sometimes it will be gone completely. Other times it will still be there and can be filled. 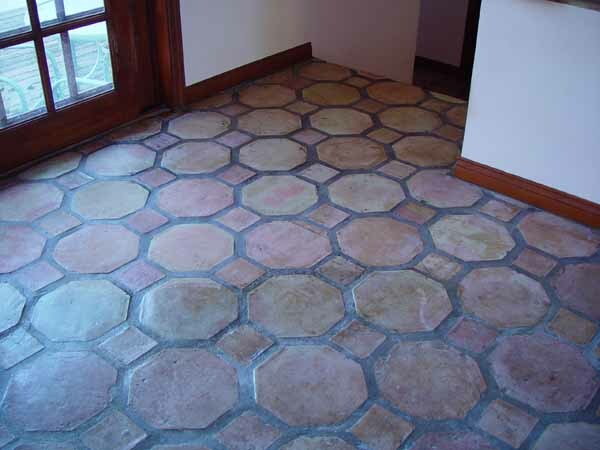 If your floor has an abundance of this, plan to see some when we are through unless you wish to spend a lot of dough on the very tedious filling process. This bathroom has it all. These base pieces just fell off when we arrived. Not to worry, by the time we are finished it will be set back in place and look just as good as the rest. How's that for a crack? We could feel this second floor rattle a bit when we were grinding this floor. We think the deflection ratio was a bit low here. 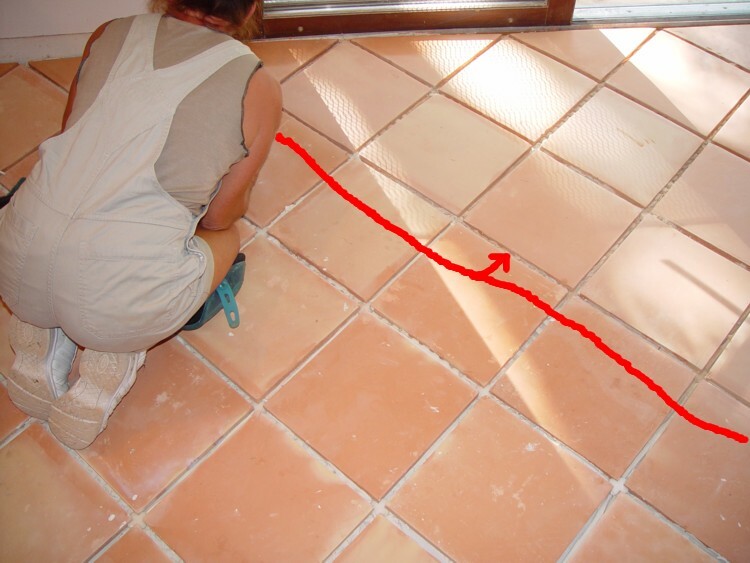 Minimum deflection calculations for second floors are often not strong enough for stone floor upgrades. 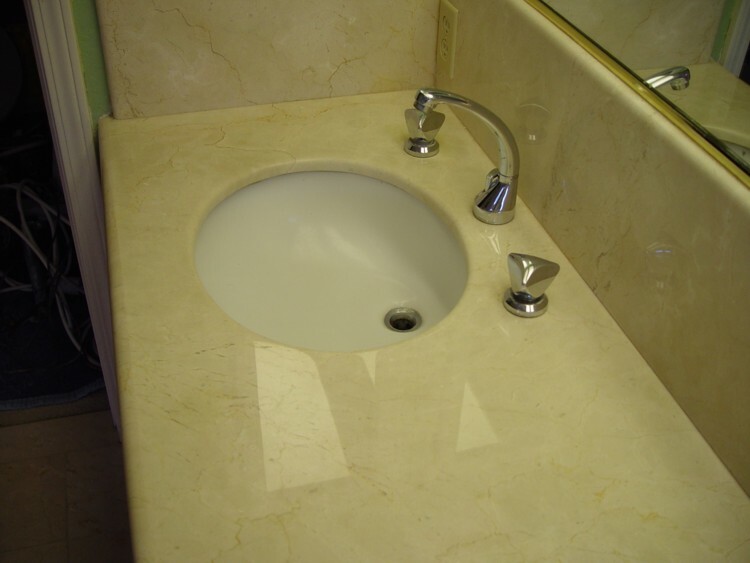 For superior results, faucets should be completely removed. Have your plumber perform this service or we can usually do it at an additional charge. Yes, we can and are well accustomed to working around them - It's just safer for the hardware and often a shadow is left along the edge. Our machinery can only get so close to the hardware without jeopardizing it. Don't be afraid. That ink helps to strengthen this guy so he can hold that 45 lb. machine up all day long. 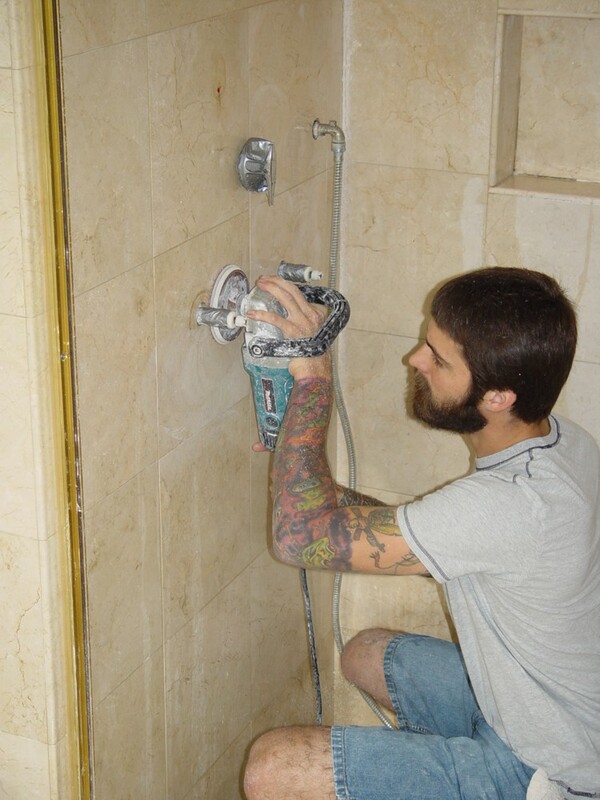 When you gasp at the price for polishing the shower remember this photo. This one took the better part of 3 days to complete. Back to removing the faucets. This is as far as is practical here and will get great results with the right attitude, patience and skills. This machine is actually grinding a very thin layer of stone from the surface. This stone will soon be completely scratch free, etch free and perfectly flat so that we may achieve a mirror like finish. If you look closely on the floor you will see that layer - it looks like milk. The lighting in this shower isn't the best, but you should definitely notice the reflection. The caulking is gone. 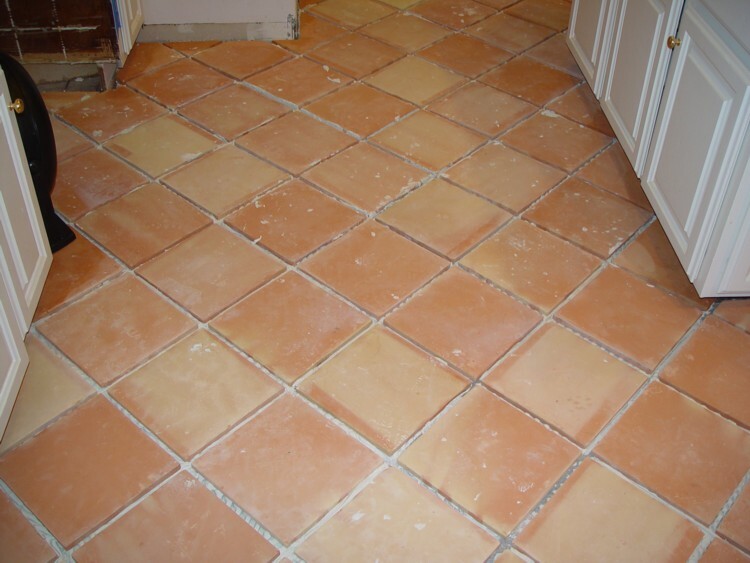 We have re-grouted all of the loose and damaged areas. We are sure these tops look better than new. How about yours? The crack is still there but looks a lot better after a little TLC. 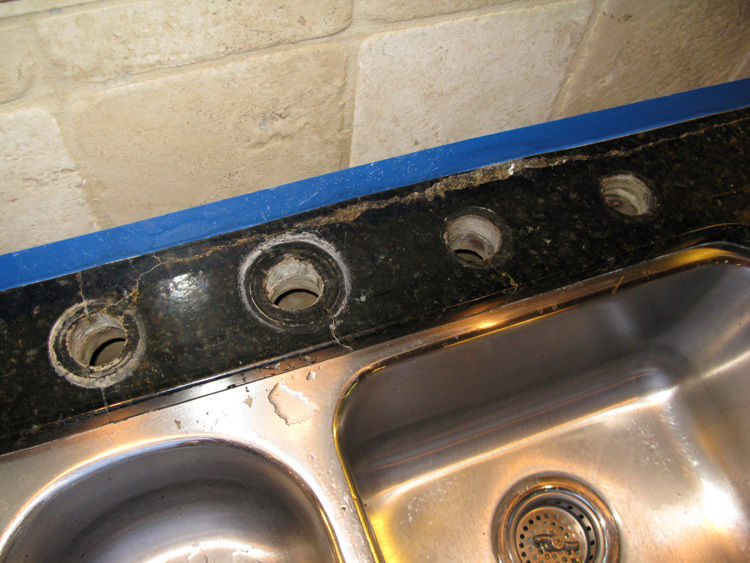 Severe crack in this granite kitchen counter completely restored! 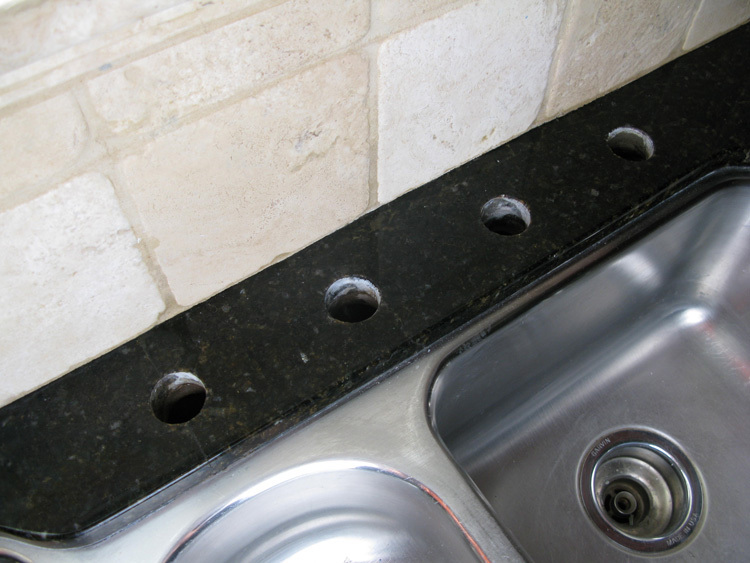 Severe crack in granite kitchen counter caused by reinforcement rodding. 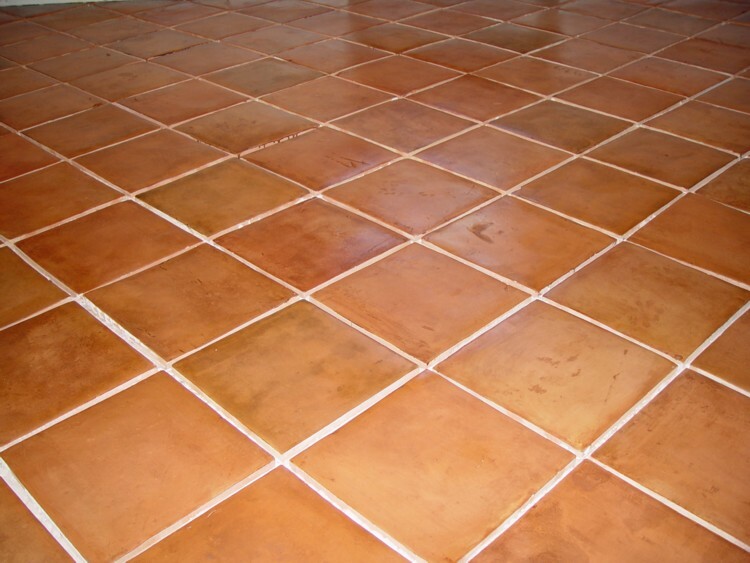 Repaired by removing the rusting reinforcement rod and using stone chips and adhesives to restore the surface! 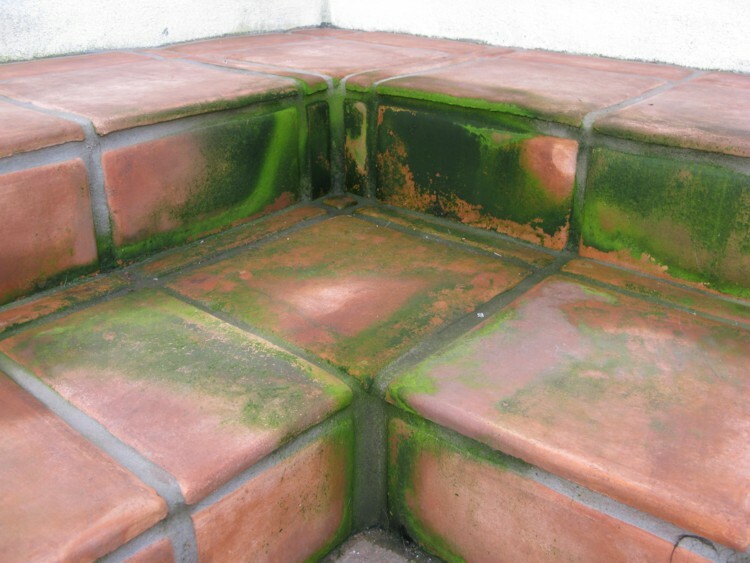 Exterior pavers suffering from mold & mildew. Long overdue for clean and seal maintenance without the need for complete stone restoration. 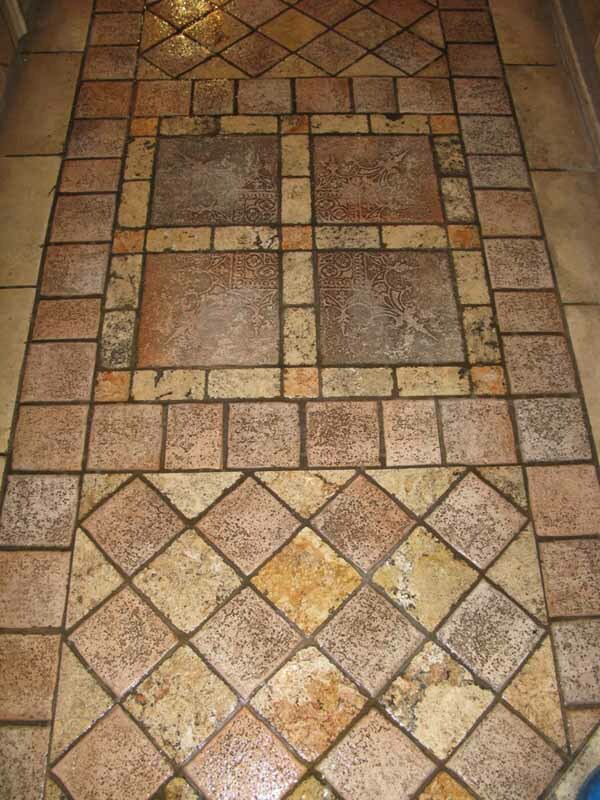 This is a gorgeous exterior paver floor, but it will take some cleaning and sealing to see it. The roof overhang drips on this side of the house and keeps these pavers wet most mornings. The owner has pressure washed with bleach a few times. He surely had an immediate improvement but didn't realize the action would slowly destroy his sealer and allow the pavers to remain saturated. They became an incubator for mold and algae. I said they were gorgeous! We'll have to seal them now with a premium penetrating sealer - It will protect the paver floor but will not affect the appearance in any way. They are still wet in this photo. Having been thoroughly cleaned, we will let them dry and seal with a premium impregnator. Sure to be another satisfied paver maintenance customer. 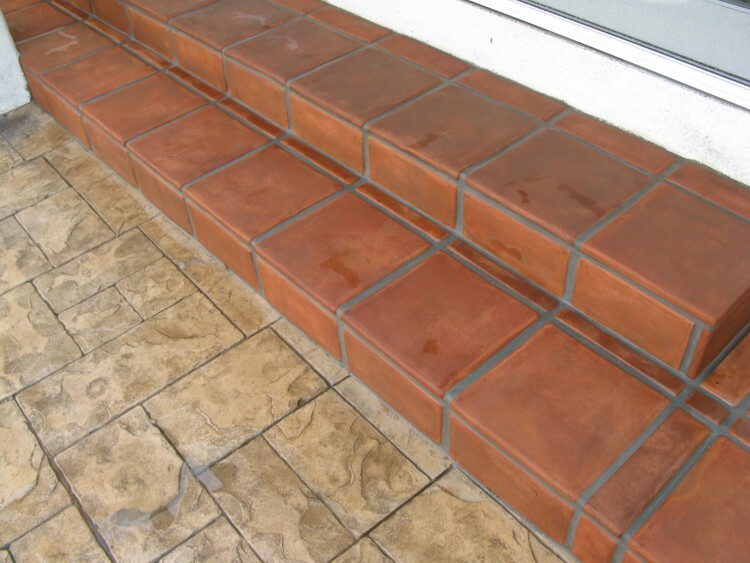 Water-Based stripping products are very effective, however often paver floors will need solvent stripping to provide superior results. 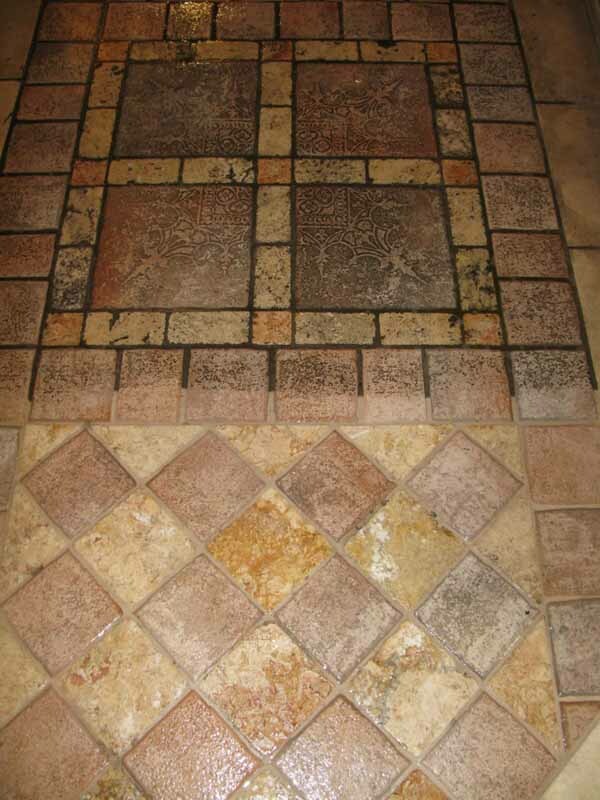 Ultimately each paver floor is unique and an owner’s expectations will dictate the exact procedure to follow. 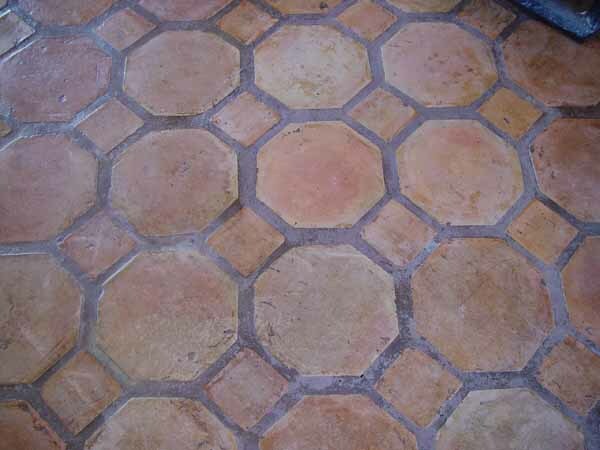 These pavers are buried under years of grimy, aging, grayish wax. The finish is chipped, deeply scuffed and scratched. The owner wanted to spruce them up and liked the idea of a traditional "rustic" appearance. A perfect candidate for water-based stripping. 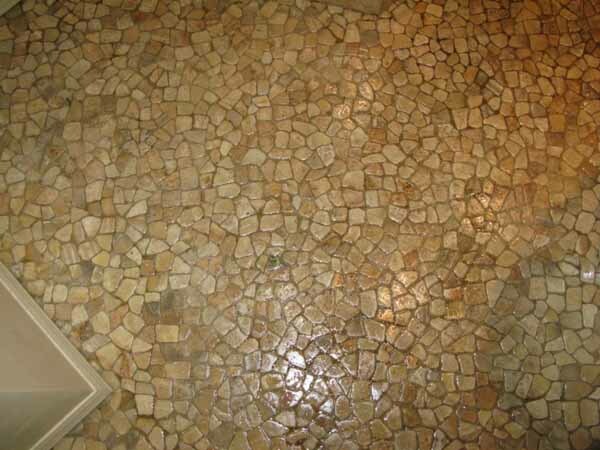 This paver floor looks great, just look at that color glow, however it is far from perfect. 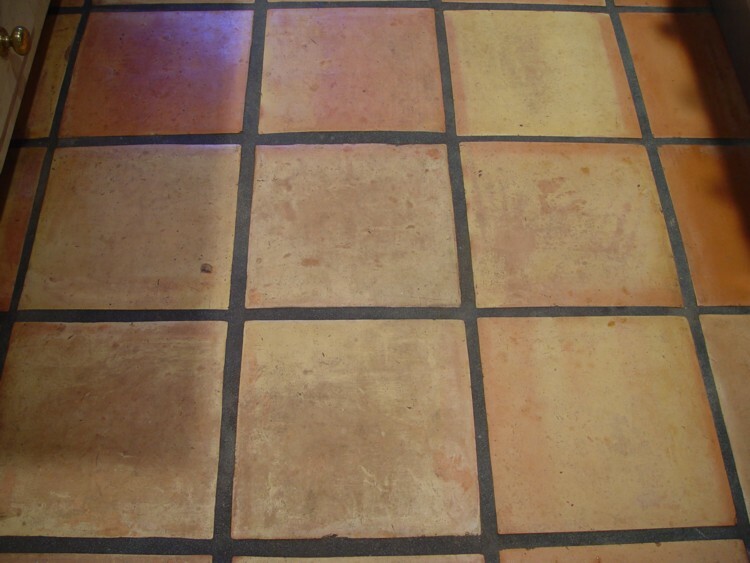 The grout lines are less than uniform and many tiles have streaks of old wax. 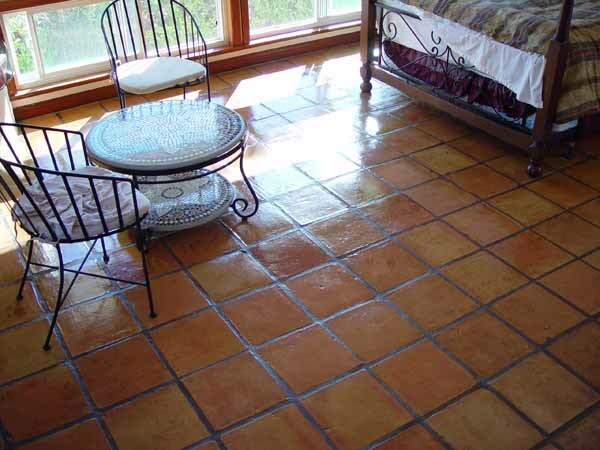 Deep brown stains are evidence of the floor having once been colored or stained. This is most obvious to the right of the photo towards the base of the bed. This owner was astonished at how well it came out yet there are others that would have wanted better. 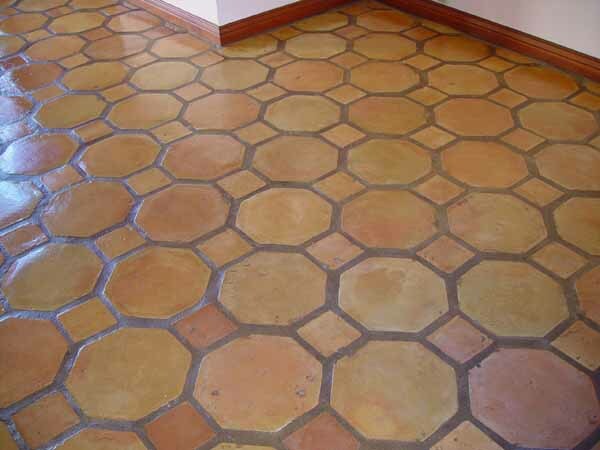 Solvents could have greatly improved this floor but does it really need it? Only you can decide! We'll perform a water-based paver strip on this one if you insist, but warn you, it will look very nice, but definitely not gorgeous. If you want better, we'll have to use solvent-based stripper. This owner convinced us to try the water-based process but switched to solvents shortly thereafter. 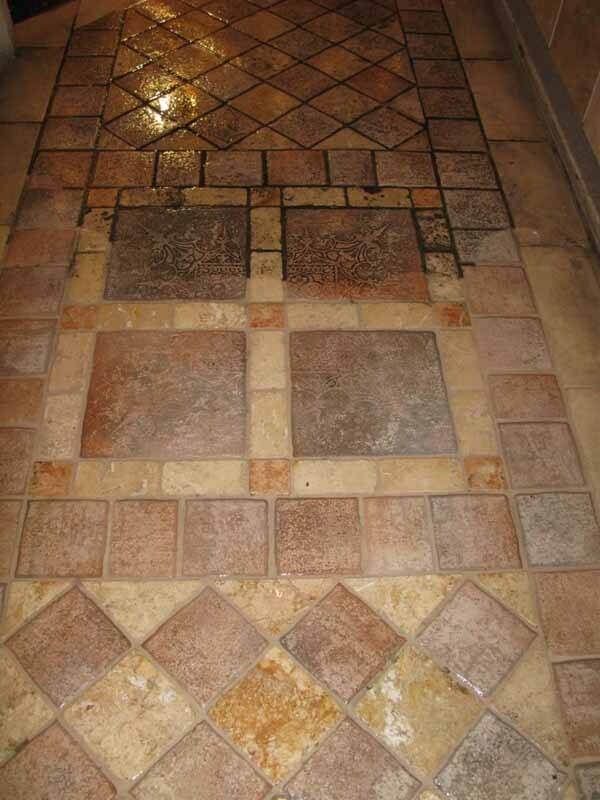 The upper half of this paver floor has been stripped with water-based stripper. 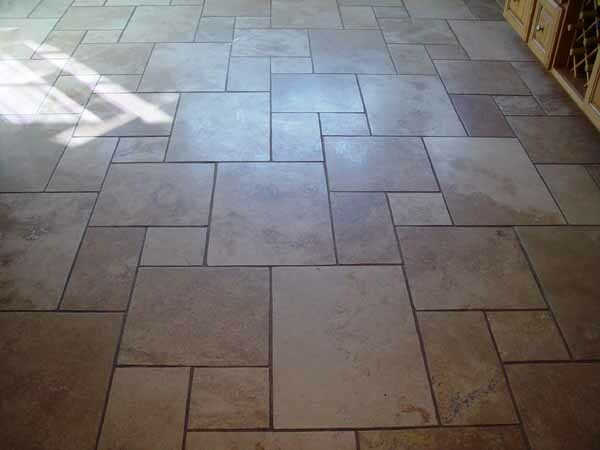 Again the floor is much improved, however the grout lines are far from perfect and there are deep stains under a thin coat of floor finish that will NOT strip. 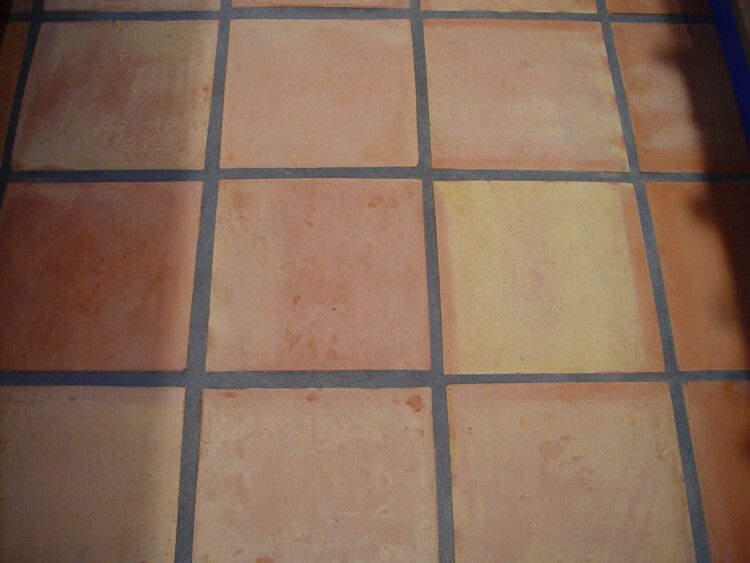 This paver floor would look very nice once re-sealed and finished, but our owner has now decided to upgrade to a solvent-based stripper for an even better result! 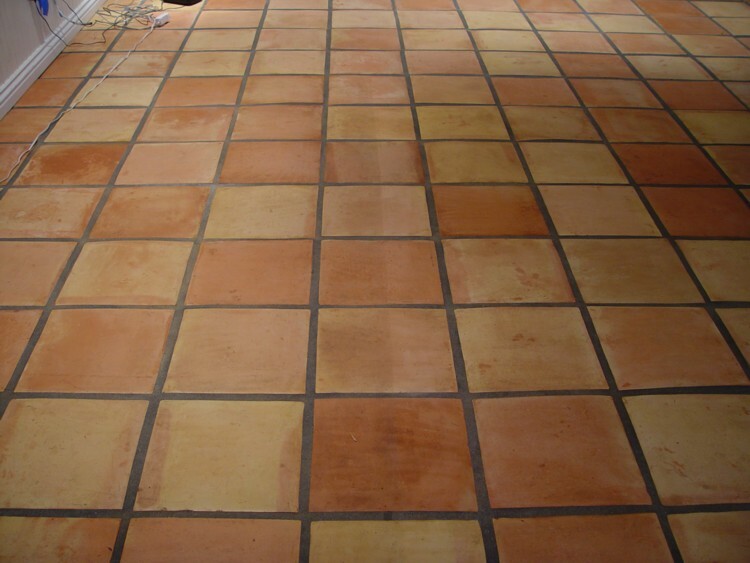 Lower half of this photo illustrates solvent-based paver restoration. Notice that the floor is bright and clear. At this point there is very little of anything left on the paver surface. A second application of solvent-based stripper will clear the floor just a bit more and it will be ready to seal with your choice of sheen level, colorants or stains - acheiving an even better result than the original finish at the time of installation! This paver floor has been restored and now coated with 5 coats of sealer and 4 coats of high sheen finish designed specifically for pavers. It will not yellow or gray with time and does not react to UV light. It is a superior coating in appearance and durability. We have no competitor that would even imagine of building such a finish! 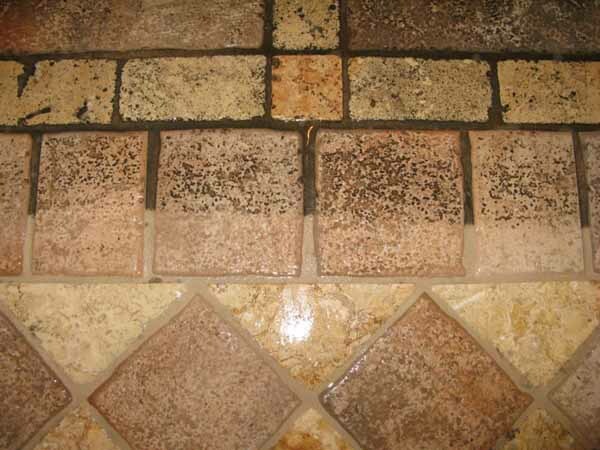 These Mexican pavers are being stained prior to grout to deliver a sharp contrast between the paver and final grout color. Look at this mess. The installer is a really nice guy and performed a good installation. Unfortunately for our owner, his cleanup should have been much better. We had to refer her to the section in our contract concerning the removal of excessive construction and installation debris. 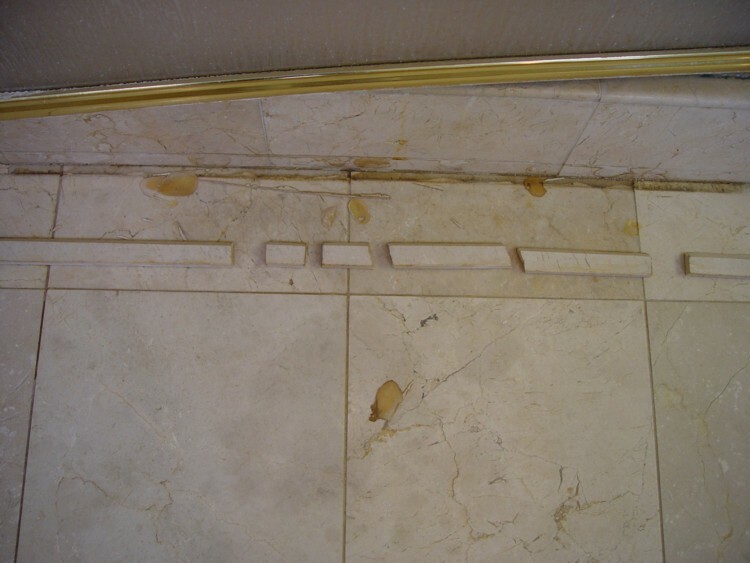 Hint: If your floor looks like this after installation, you need to have a talk with your installer. The white thinset left over from installation is removed meticulously by hand. The upper right hand corner has now been cleaned and is in the condition that the installer should have left it in the first place. The owner elected to spend a pretty penny to have our highly skilled applicators perform this additional cleaning in order to keep her project on time. 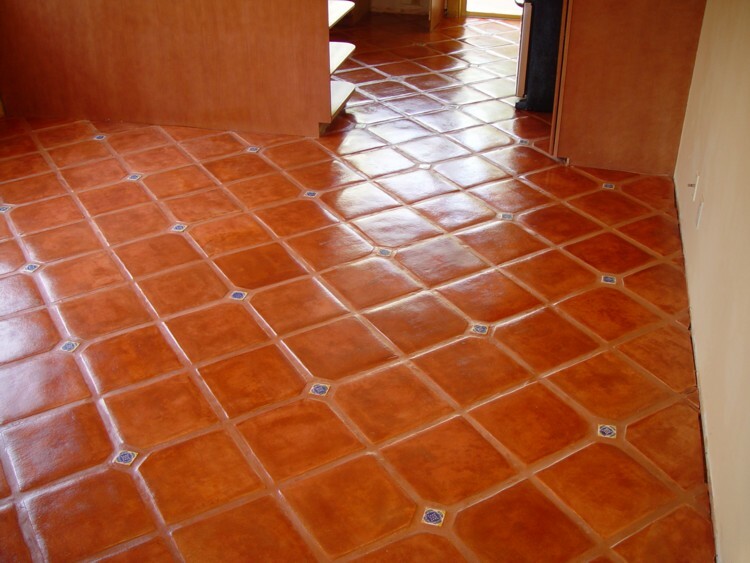 A total of 5 colors are actually hand-applied to this floor in varying degrees of intensity. The final look will be created with multiple layers of color. 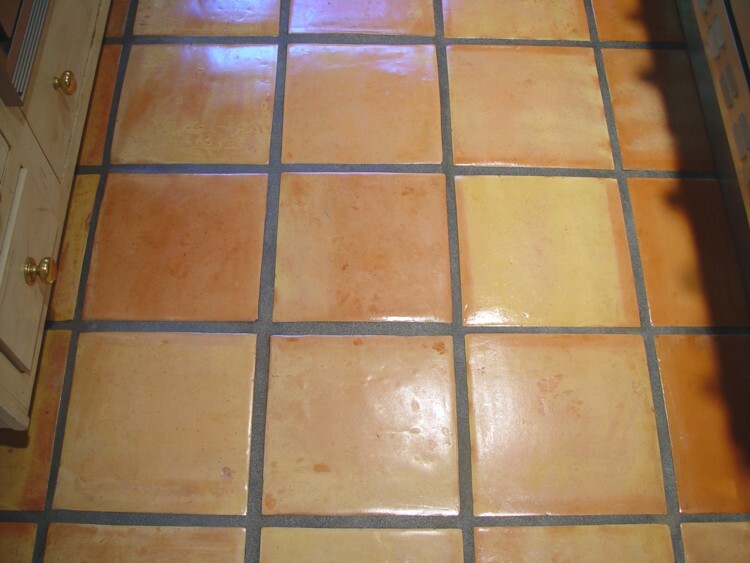 This floor is being stained prior to grouting because the owner wants a dramatic contrast to a lighter grout. More and more colorants are applied. 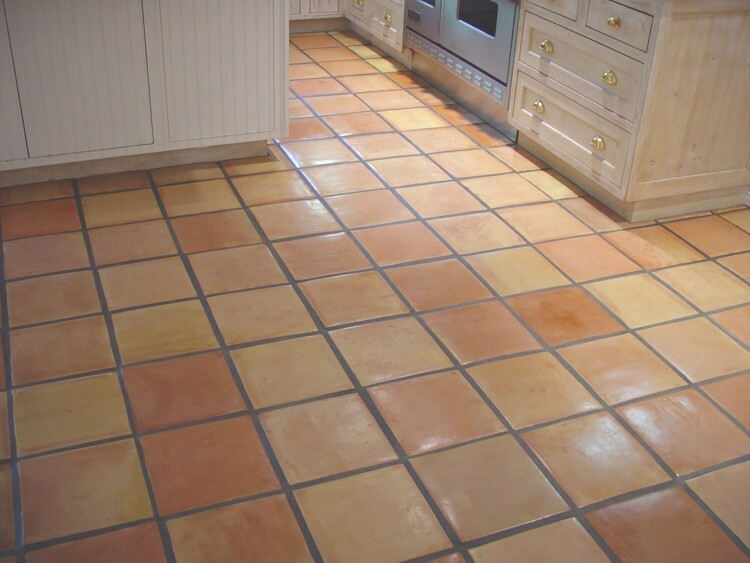 We encourage the owner to stick around during this phase to help shape the final appearance of the floor and ensure satisfaction. The staining and coloring is finally complete. 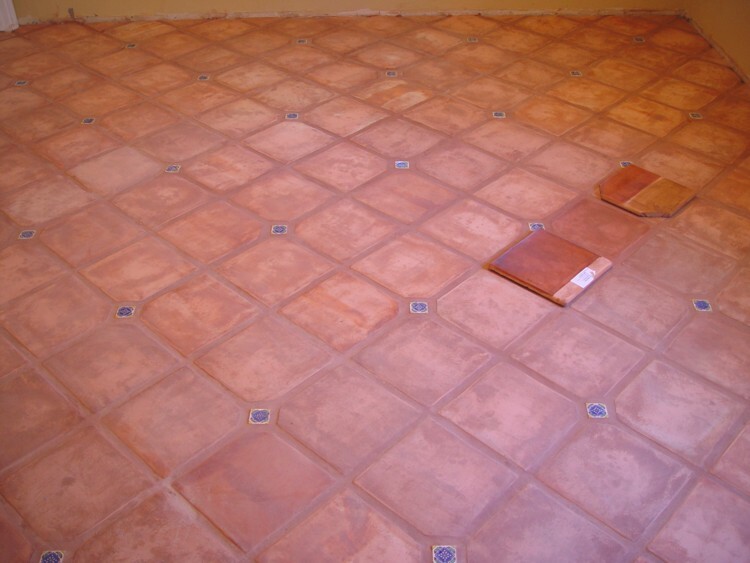 A very substantial pre-seal has also been applied at this point to protect the surface during grouting. 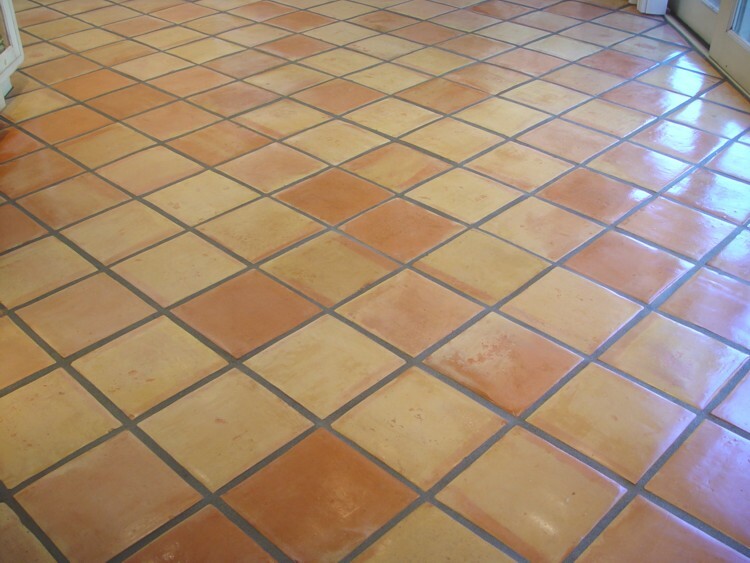 Please note that a paver floor is often stained after grouting rather than the method you are reviewing here. 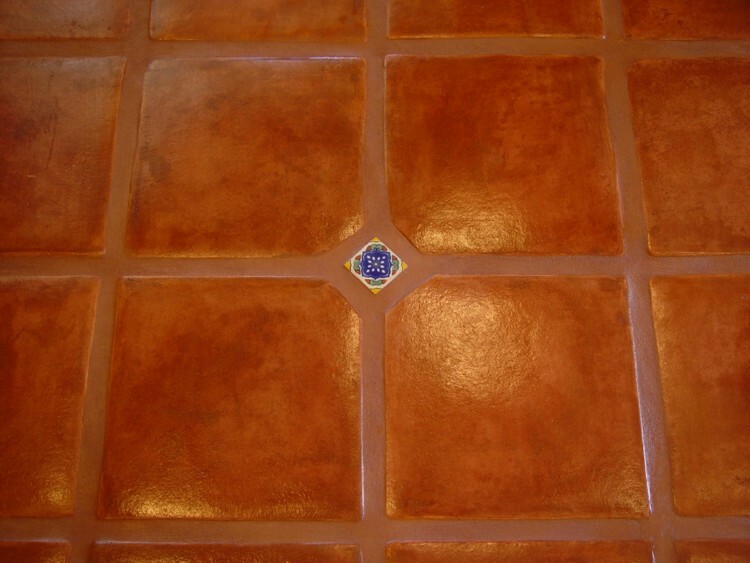 The difference is that the grout will be stained as well. 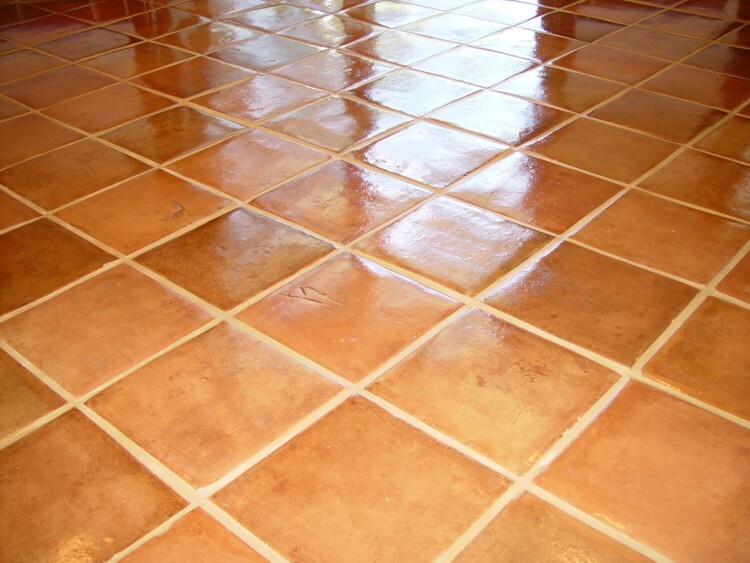 Staining after grouting will still yield a beautiful floor and usually saves time. 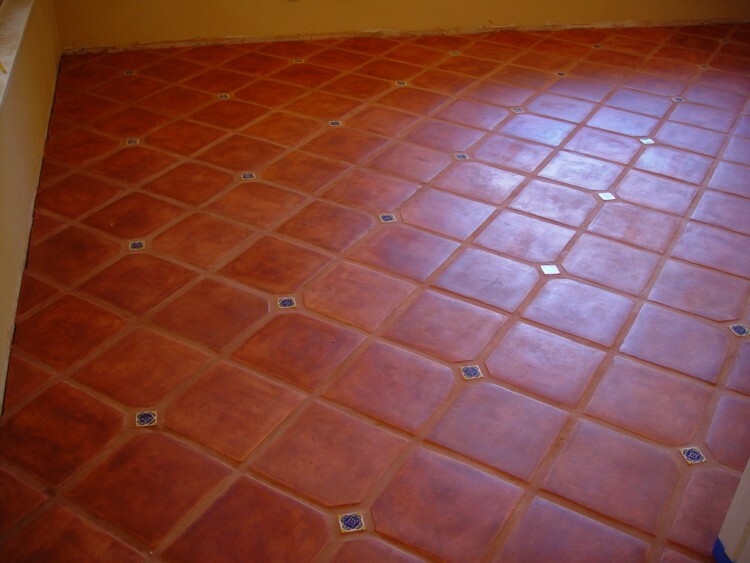 Once the floor was grouted we made a handful of touchups to the stain. 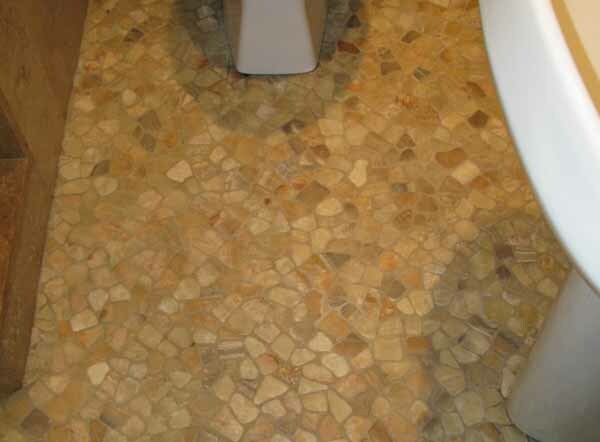 This installer grouted very carefully with a bag as required for optimum results with a stained floor. 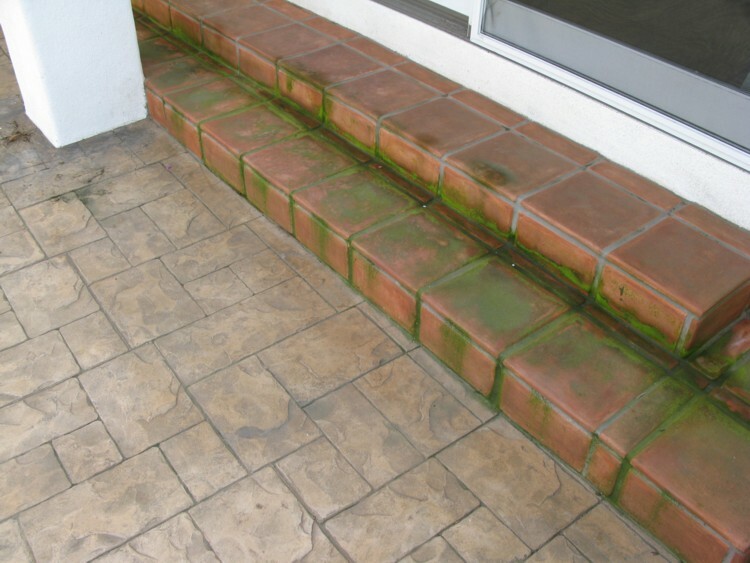 A sloppy installer or one who attempts to grout too much, too fast can severely scratch the surface of the pavers, removing the recently applied stain. 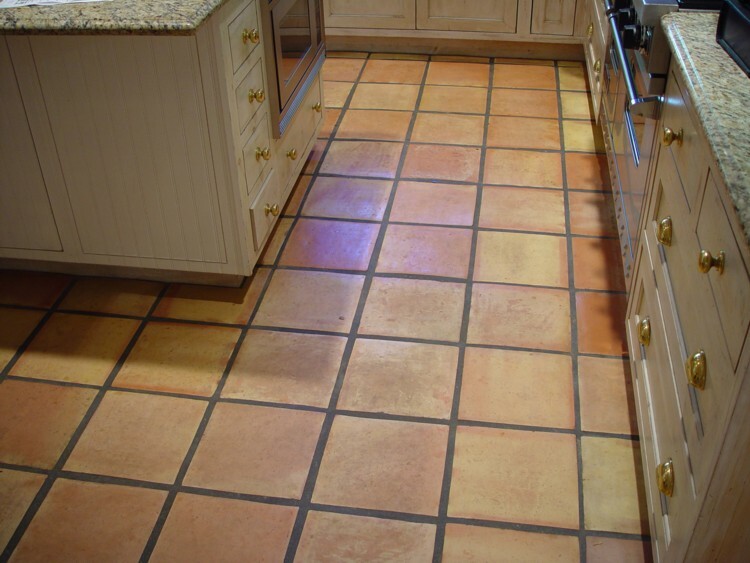 We do not mind a few touchups, however occasionally a floor will be severely damaged due to poor grouting. In these cases repair costs can be significant. 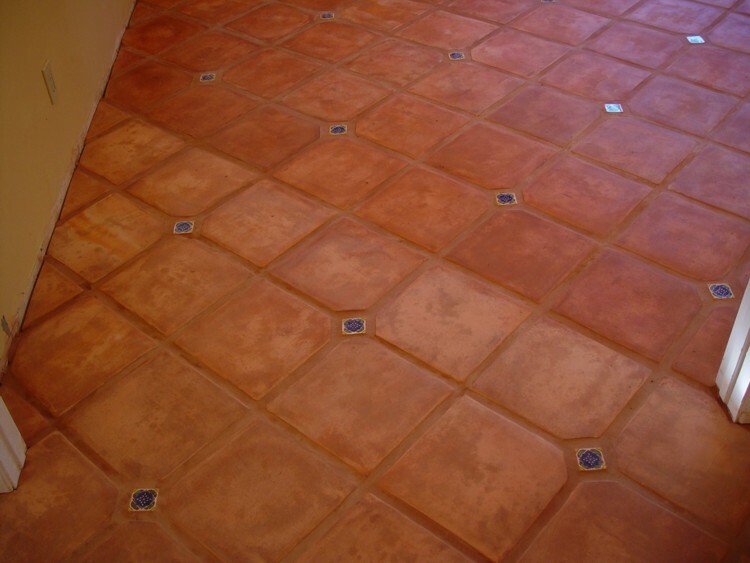 The floor was coated with sealer and a high sheen finish designed specifically for pavers. It allows for vapor transmission, will not yellow and does not react to UV light. 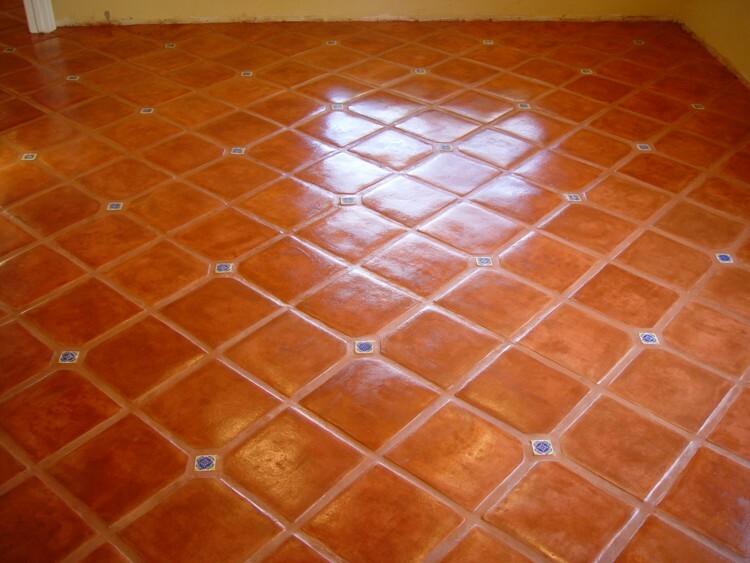 What a beautiful floor! Our coating is superior in appearance and strength. We have no competition that would even imagine building such a finish! Pebble stone floor in need of deep cleaning. This floor has a terrible residue from overuse of cleaning products. Dirt and grime just sticks to it after each mopping! 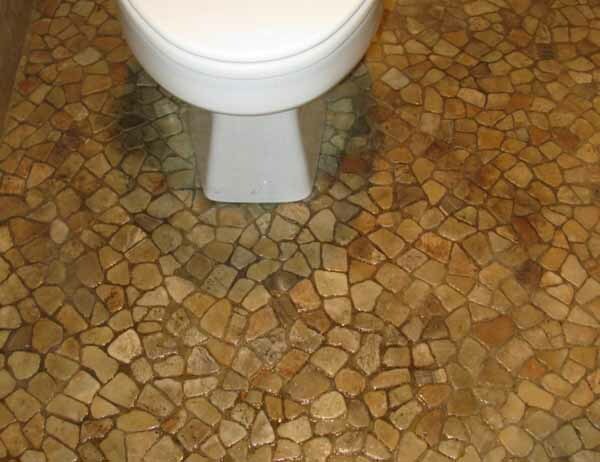 Sometimes you don't even notice how dirty your grout has become. Take this pebble floor for example. At first glance you may not think it's in bad shape. 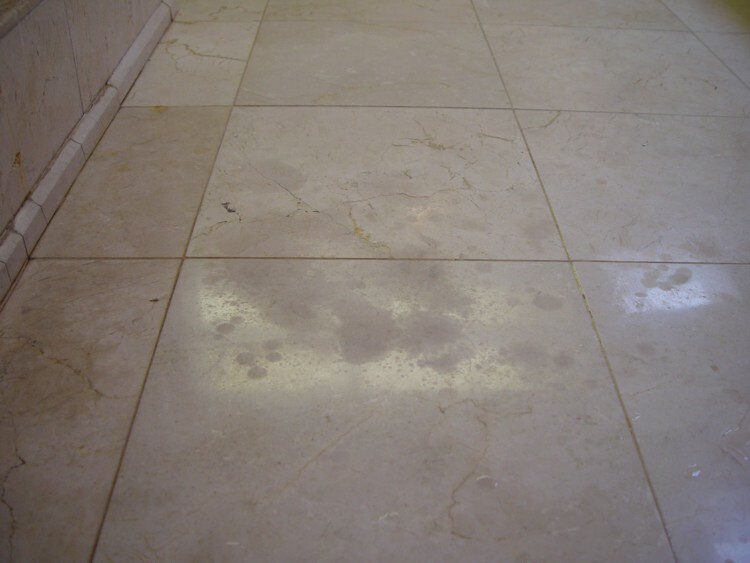 The glassy look is our cleanser soaking into the floor, slowly emulsifying the dirt and buildup. 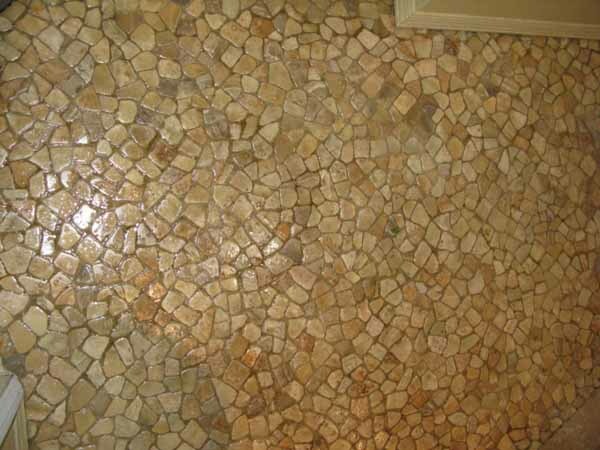 We're about to start cleaning this dirty pebble stone and grout. Not a bad start...looks like this stone and grout will be clean soon! Sure to be another satisfied customer. 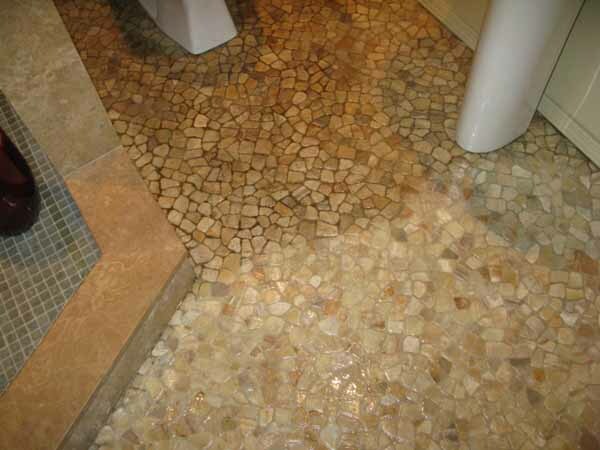 This stone pebble floor is cleaner than the day it was installed. We will add an application of premium penetrating sealer to give it some protection. 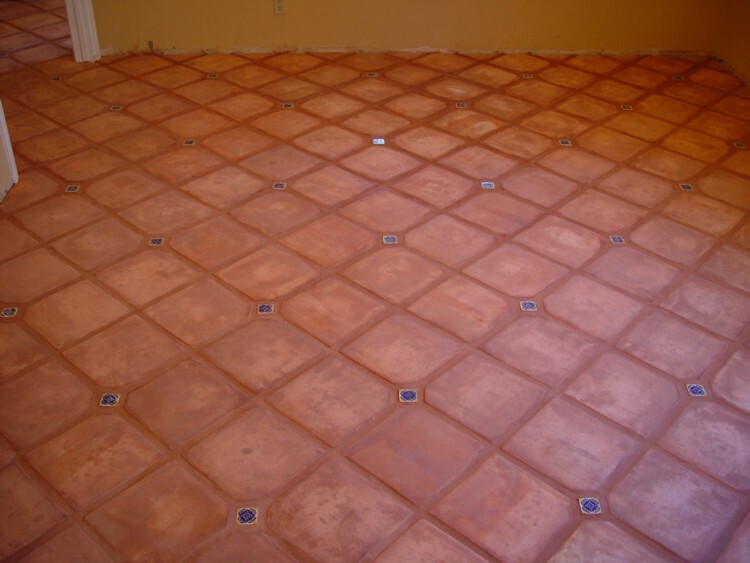 Applied Stain colorant to new paver floor – sealed with low sheen, matte finish. This paver floor has just been installed. 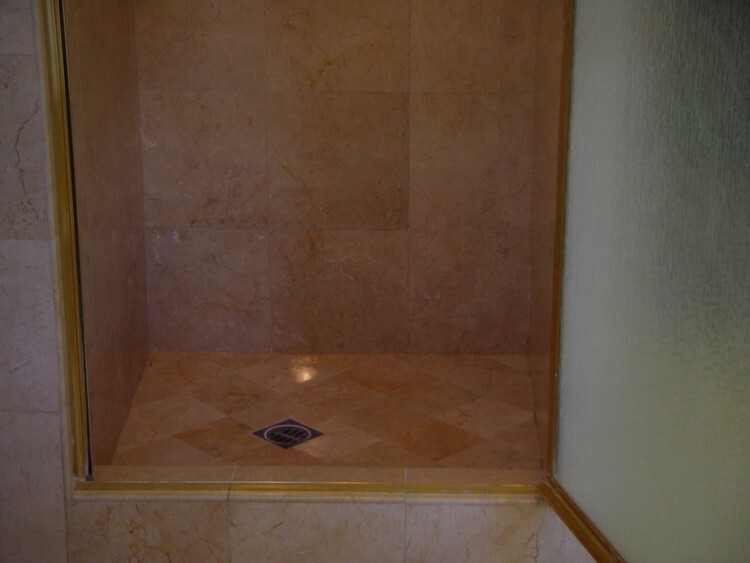 You should take note of the darker grout lines towards the top of the photo. 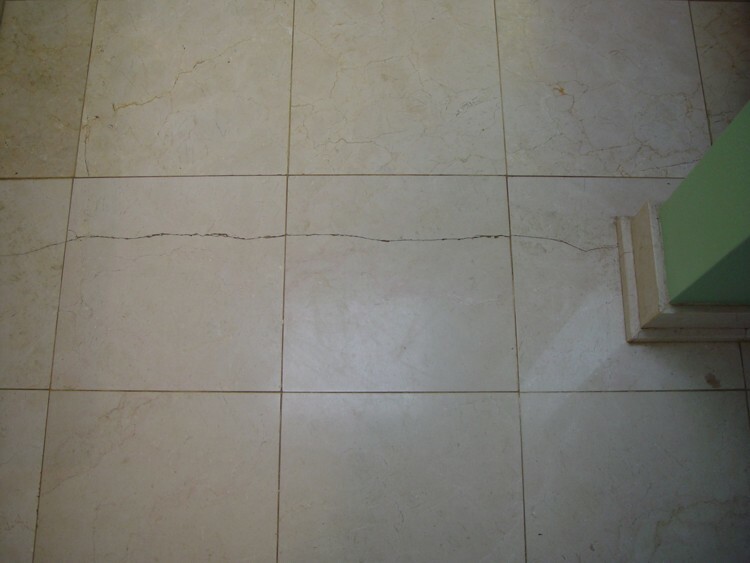 This was suspected moisture from the install, but turned out to be mostly grout smears and residue. This became evident when we started cleaning the floor on our hands and knees. Here is a close-up while wet . 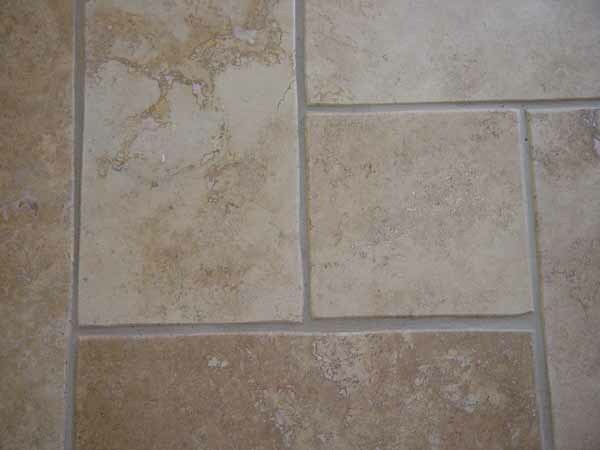 The grout has been left on the edge of the tiles. 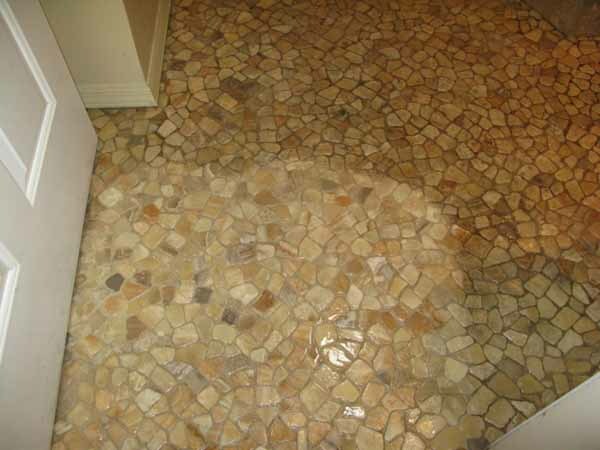 We were able to remove this grout and properly clean the floor. 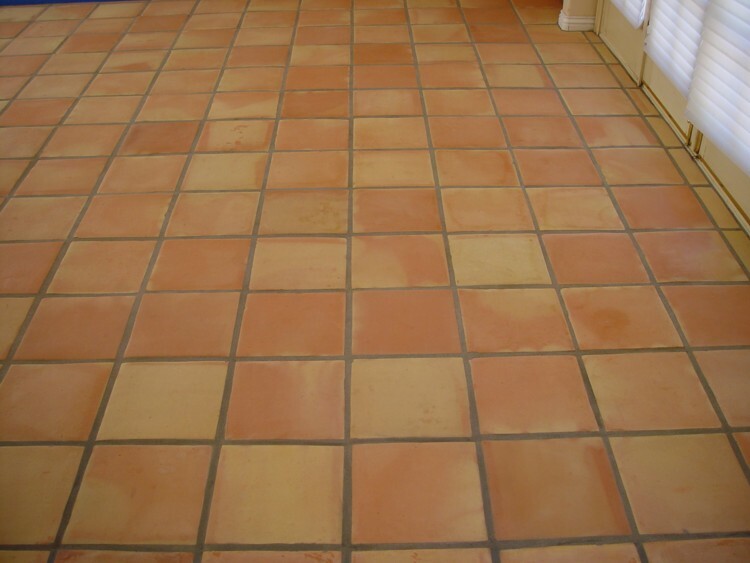 The floor has been thoroughly cleaned and detailed by hand. It is now ready for stain. Two samples are lying on the floor. 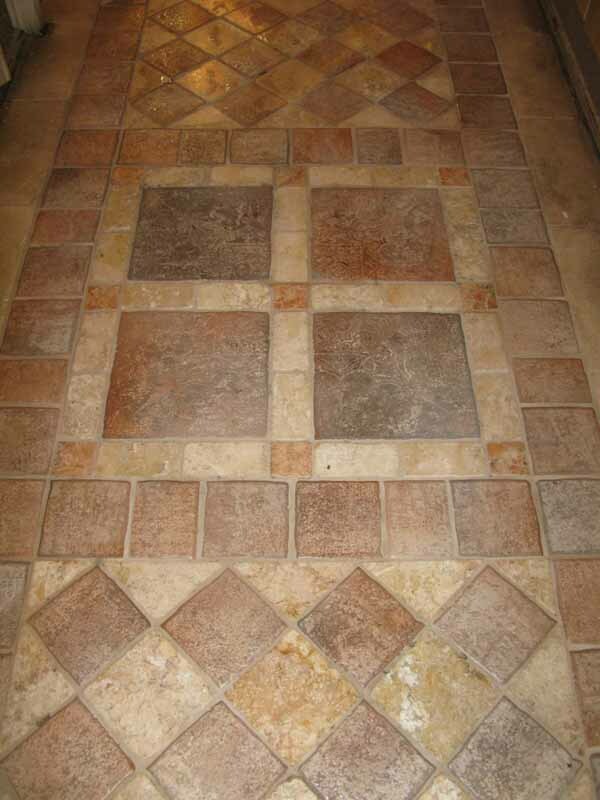 The one with the label was prepared for the owner during the initial consultation along with a handful of others that she wanted to see on her own batch of pavers. This is often done after a proposal for work has been accepted by the owner. We'd like to believe that we can achieve any color or look that you can imagine but it is always good to be sure. The other one has been prepared today on the jobsite to assure a match. Let the staining begin! 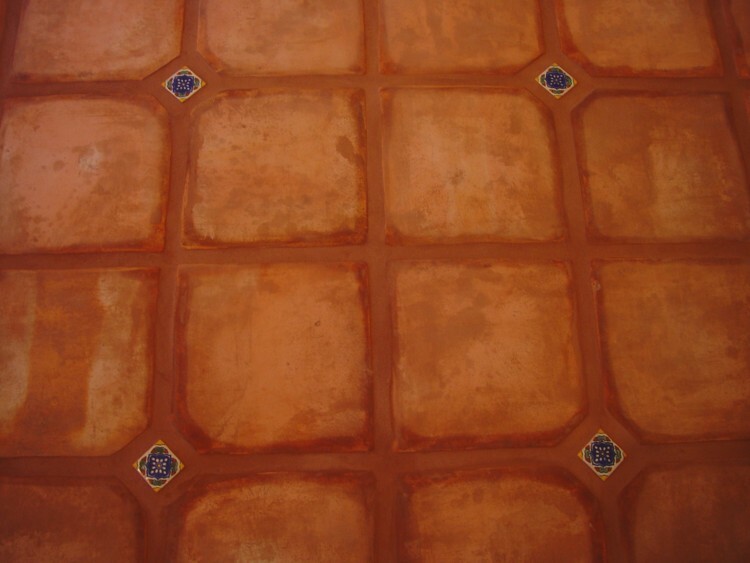 The upper right corner has been stained with a single coat. 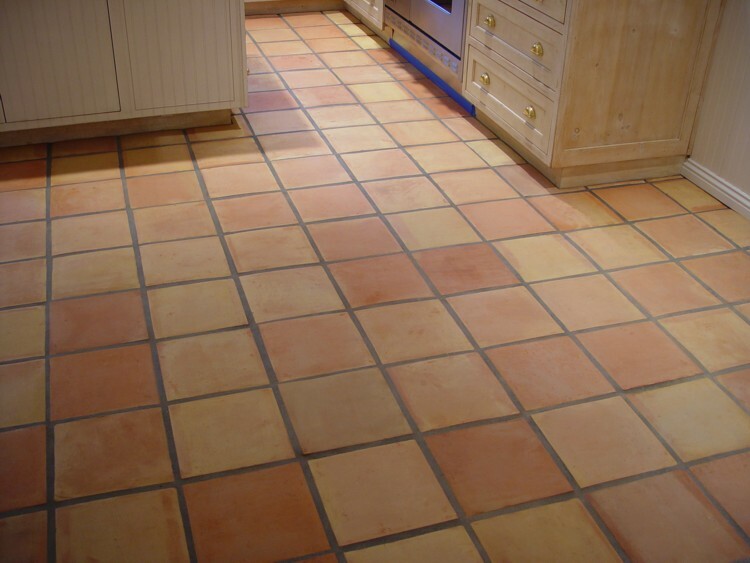 This floor will require at least 2, if not 3 coats and some more stain to the grout lines. In this case, the floor is being stained after grouting. 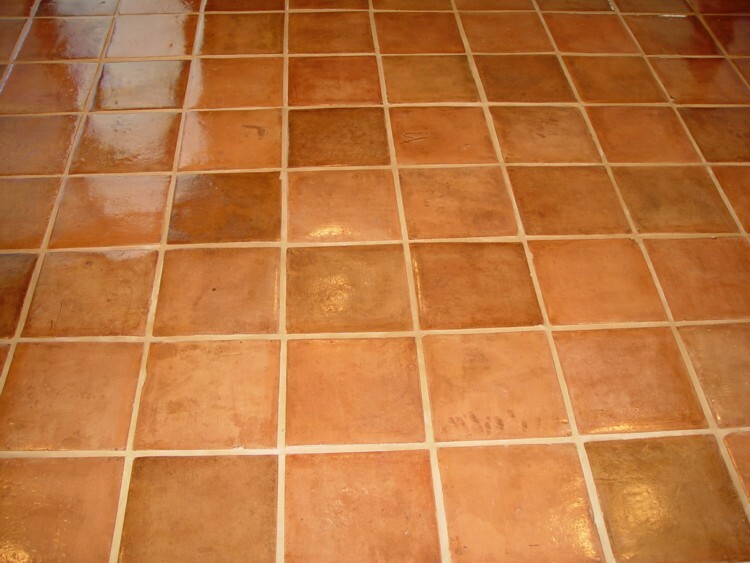 Therefore the grout will also be stained. 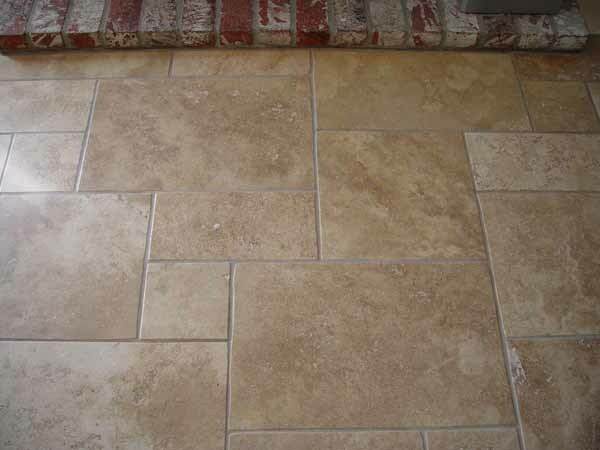 It will always retain its individuality from the pavers, however will tend to soften the transition from grout to paver. Always a great look! 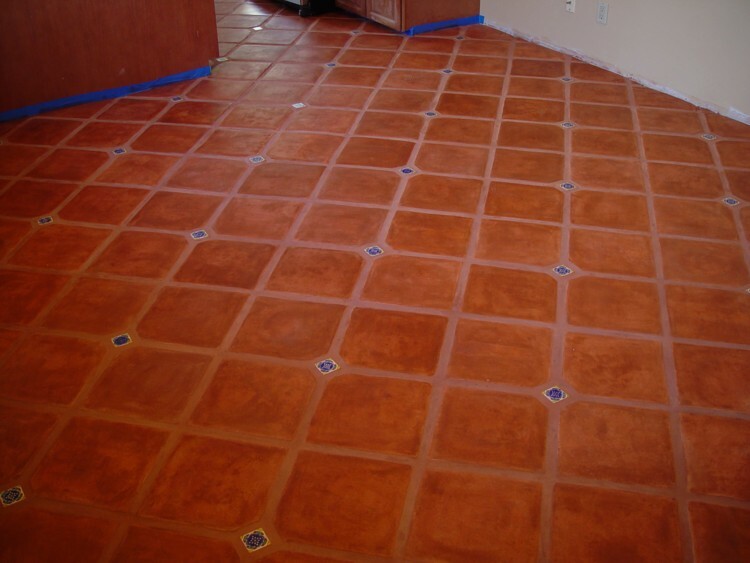 This paver floor has been stained with three coats for the most part. 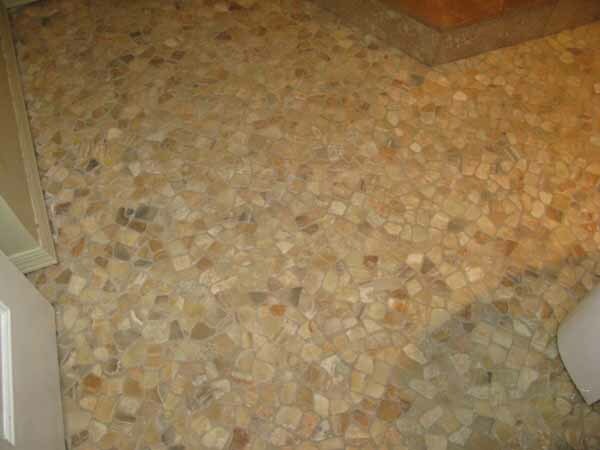 In this case more stain has been applied to some of the lighter stones in an effort to give the floor a more uniform appearance as per our owner's request. 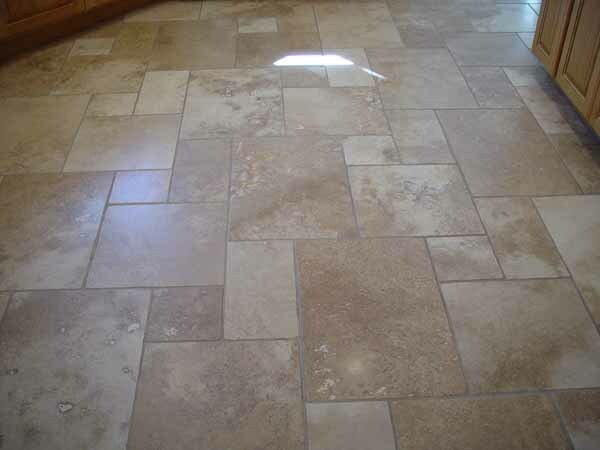 Another angle of the same beautiful floor. You may notice what appears to be stain on the lower area of the walls. This is actually grout residue left over from the installation. We take great care not to stain anything but the floor. A very substantial low sheen finish has been applied. 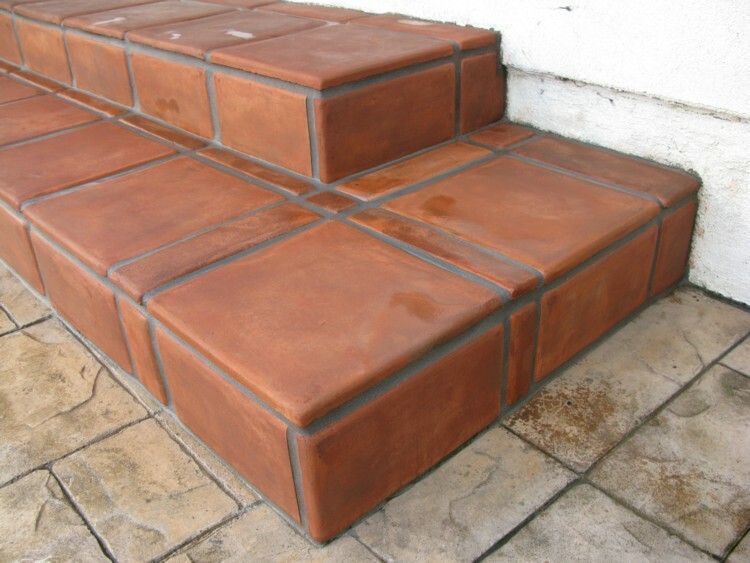 This finish has been designed specifically for pavers allowing moisture vapor transmission. It will not yellow or deteriorate from UV light. It may look glossy in this photo, but this is far from a high sheen finish. 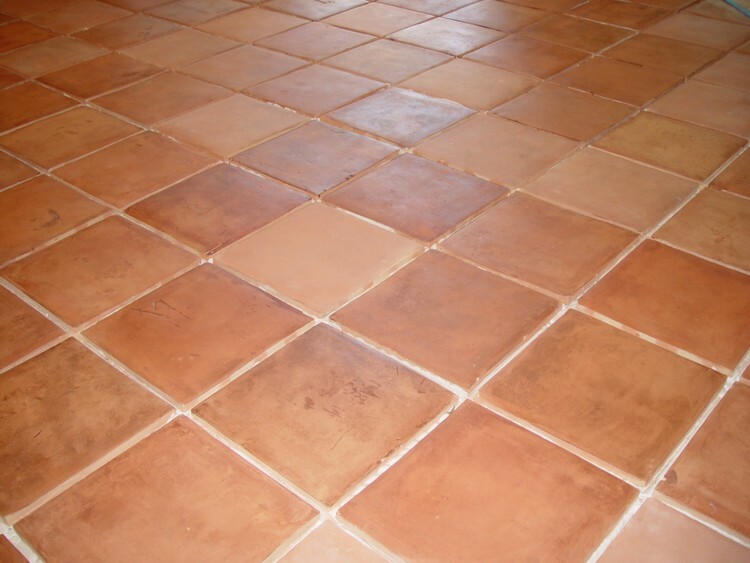 This finish is a low sheen matte and will provide strength to the surface and protect the pavers and grout from ground-in dirt, stains and scuffs. Check out the awesome movement in the pavers. 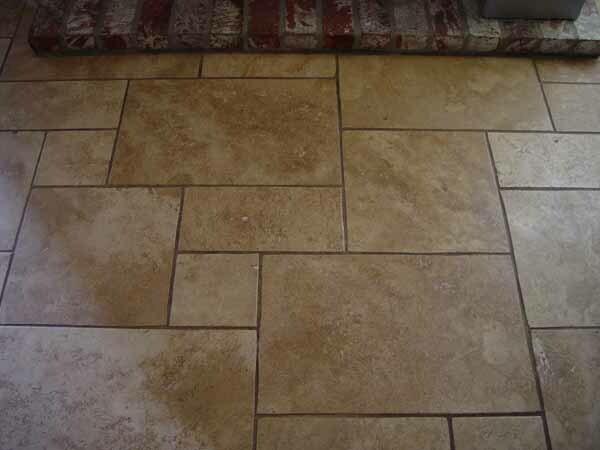 Stain will bring out the best and the worst markings in a paver. 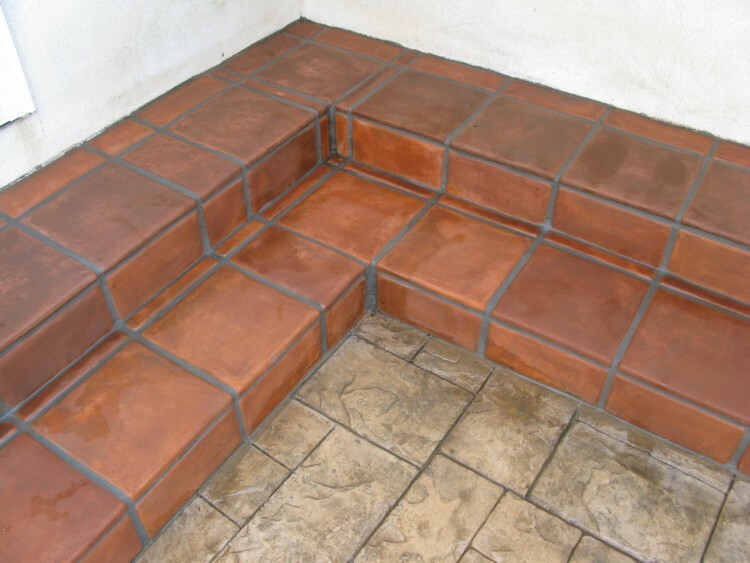 Make sure your installer is very familiar with pavers. 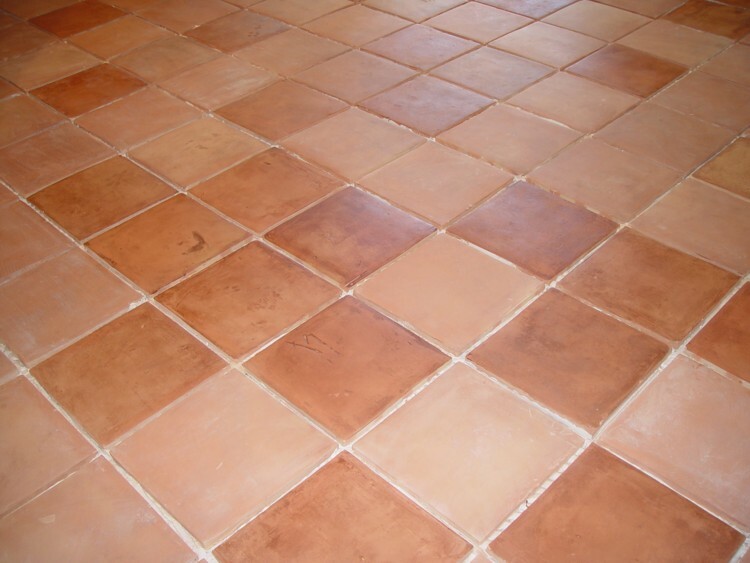 This is not ceramic tile! Paver floor in need of Refinish. Only stripped with water-based stripper and sealed to a low sheen, matte finish. These are the jobs we love because we know what the so called competition is up to, but it's not everyday we are able to see it. 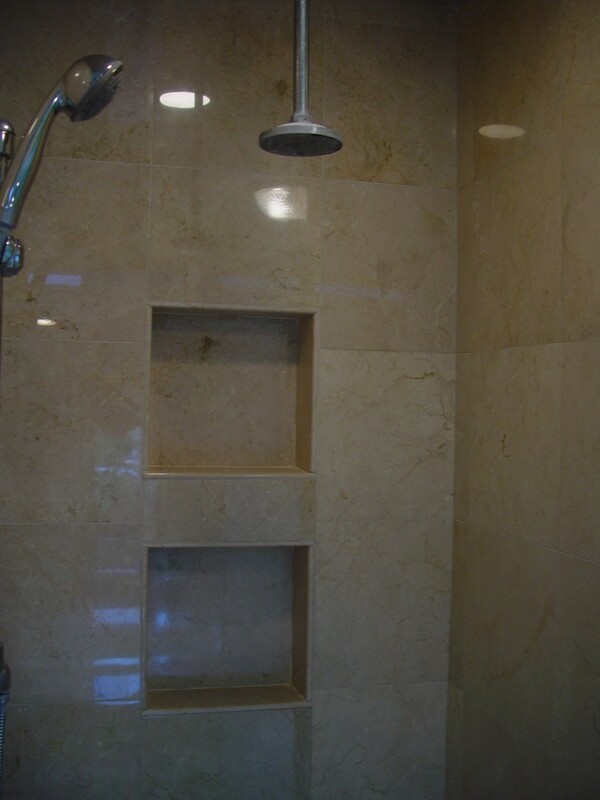 We are regularly asked to complete or re-do a project that was started by someone else. In this case a paver floor has been stripped by another company. It must be an improvement but definitely not what the owner expected and paid for. Too bad for our owner the other guy didn't offer a No Risk Policy like ours. We stripped this floor with water-based strippers and we are still trying to figure out what was so difficult about it for the last guy. I guess he hasn't stripped over 1000 paver floors or maintained over 350 paver floors annually. The floor has been stripped, but not sealed. The pavers still have some evidence of surface scuffs, scratches and chips. These are all things that will occur to pavers throughout the life of the floor and for the most part cannot be reversed. What you don't see anymore is dirt. Just Color! That's as clean as it gets! 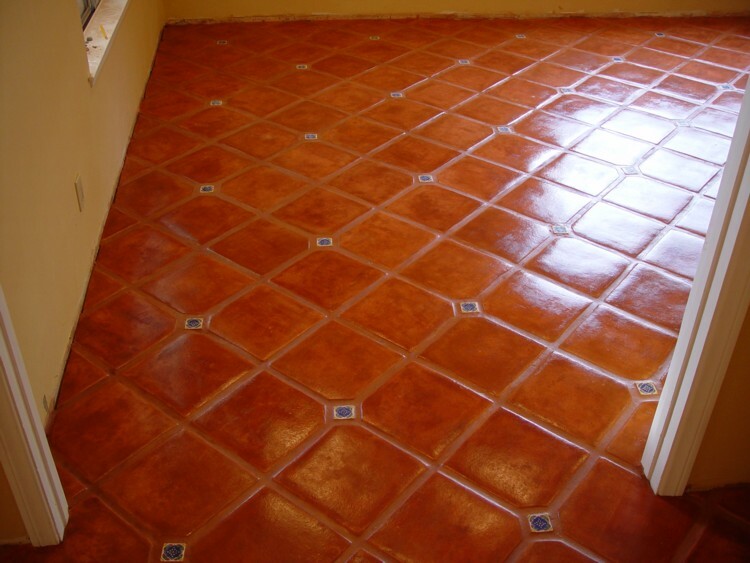 This floor was sealed with a low sheen topical coating. As a general rule a low sheen finish will not be as durable as a higher sheen finish because we build a high sheen finish on top of a low sheen finish. This kitchen is bright and light again. Do your pavers look this good? 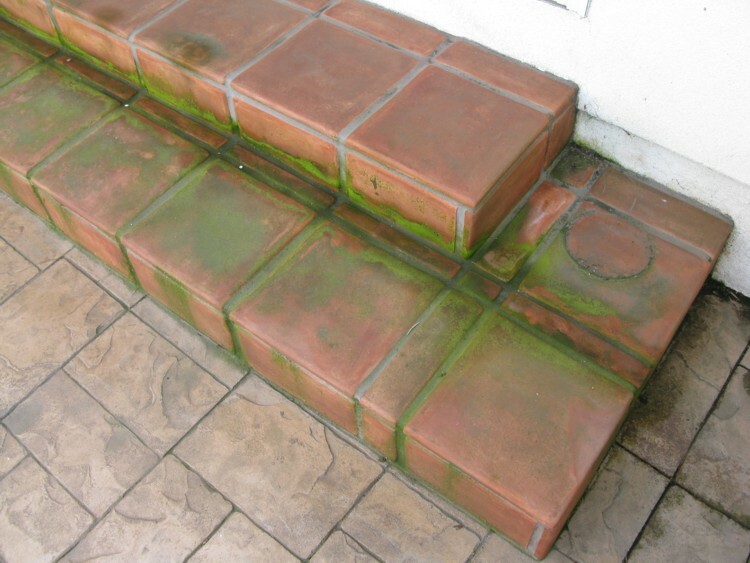 Stone Cleaning is an affordable method to restore the appearance of your stone surfaces. 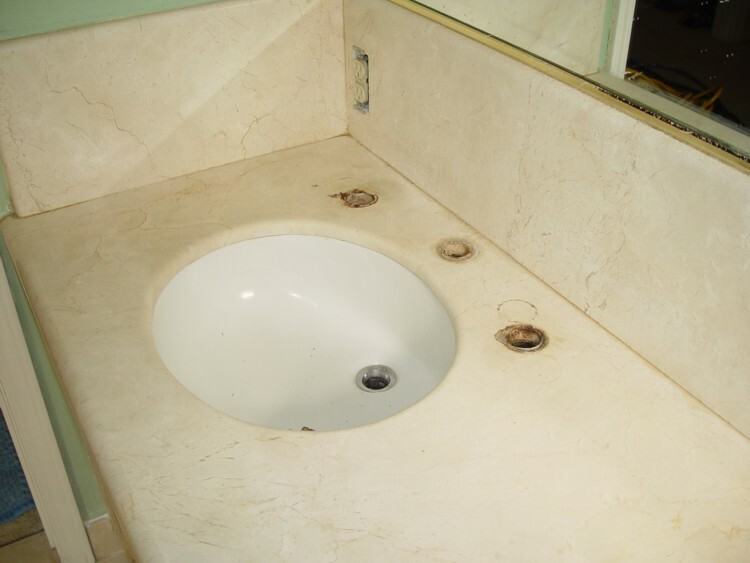 Many honed and tumbled stones can be cleaned without the need for complete stone restoration. 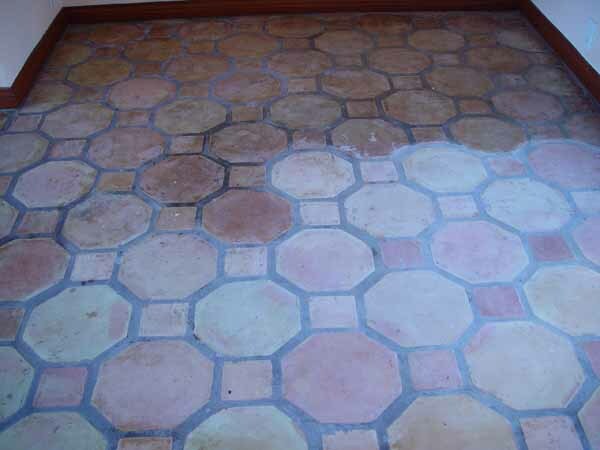 This travertine floor is really dirty. 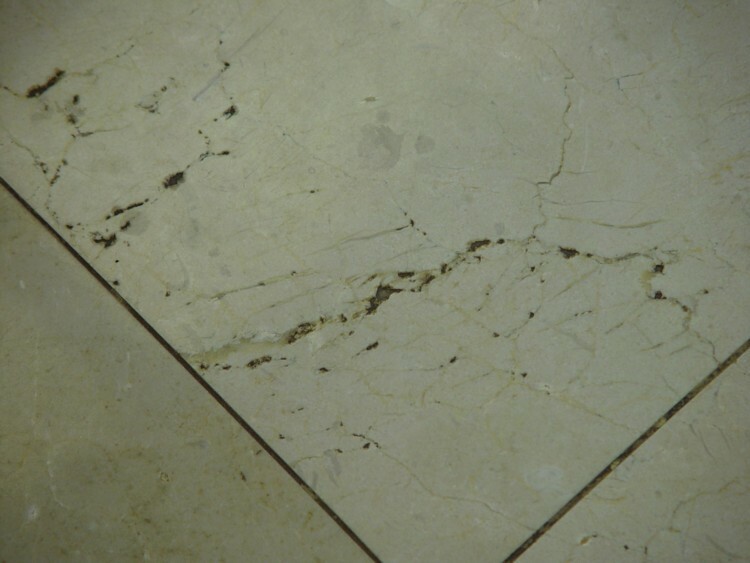 Less than 2 years old, it has been routinely cleaned with an inappropriate cleaner that has left a build up on the stone. 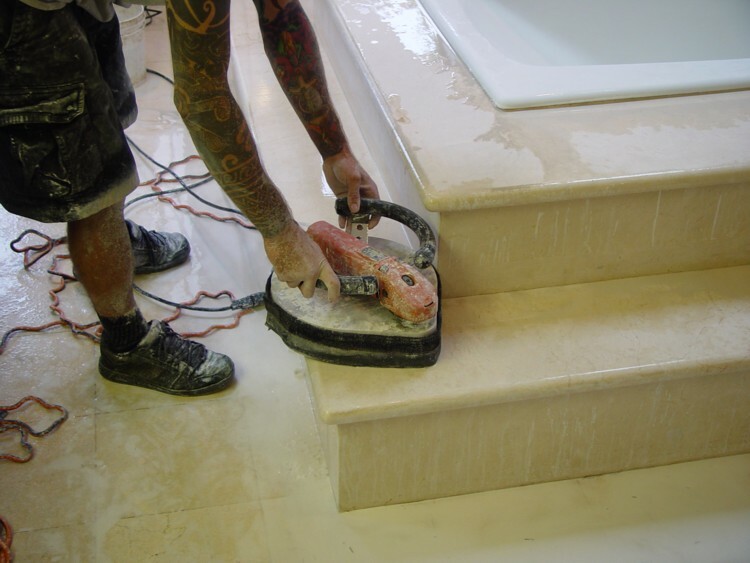 Our stone maintenance is a cost effective alternative to traditional grinding, honing & polishing. 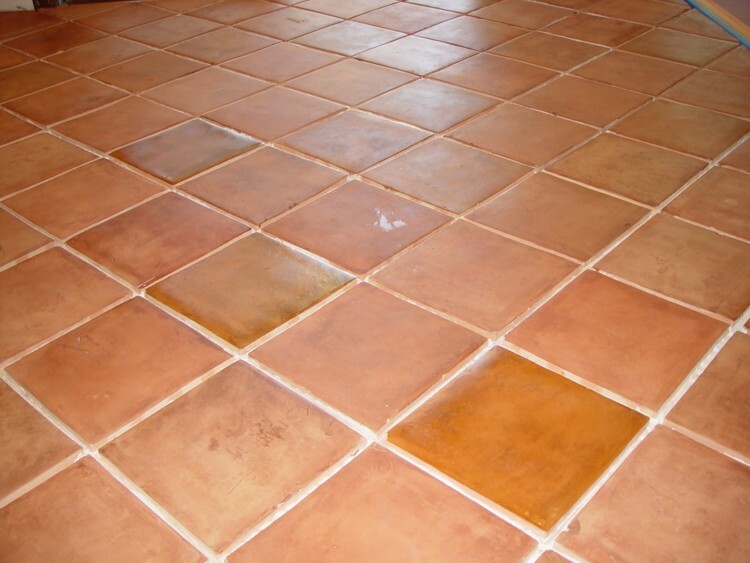 If you have only minor scratches, etches and blemishes you may benefit from this stone cleaning procedure. 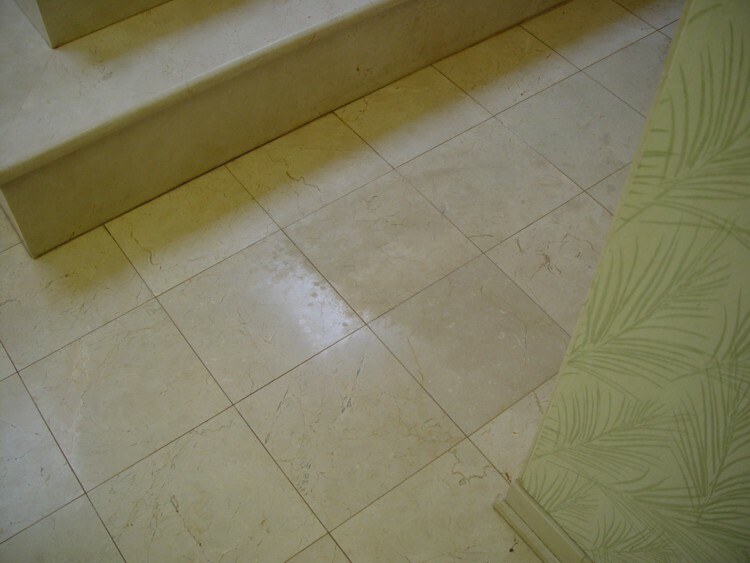 This travertine stone floor is now light and bright! 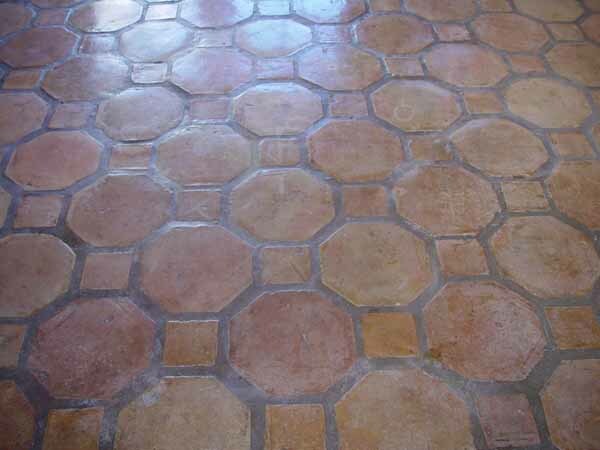 Who would have thought that just cleaning could have restored this floor? 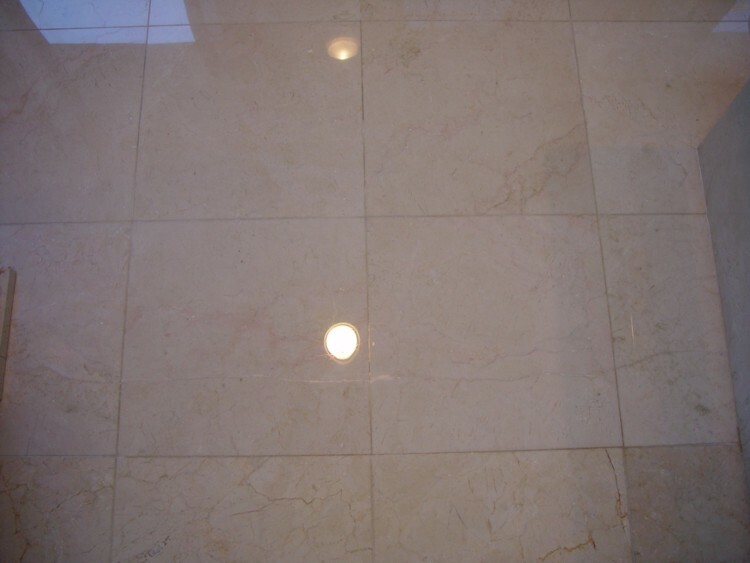 Our stone maintenance procedure does not address lippage, scratches or acidic etches. It is best suited for honed or mildly polished stones. 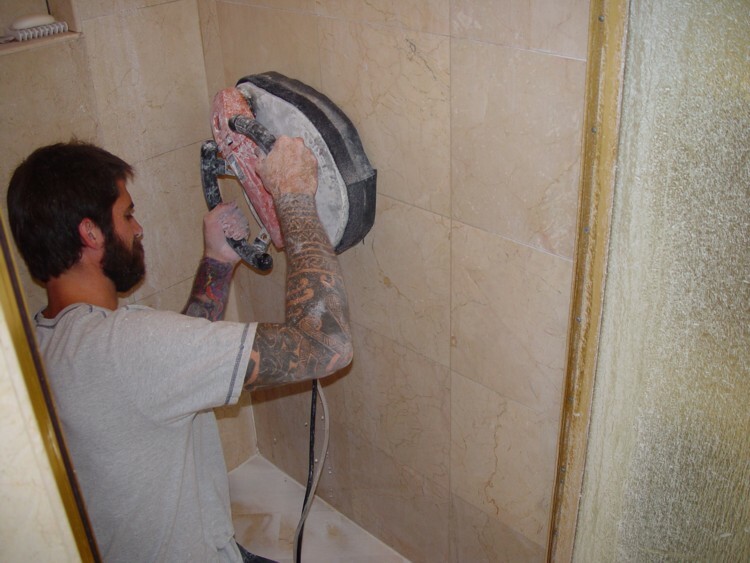 Professionally machine cleaned stone surfaces, hand scrubbed grout lines and a premium sealer. 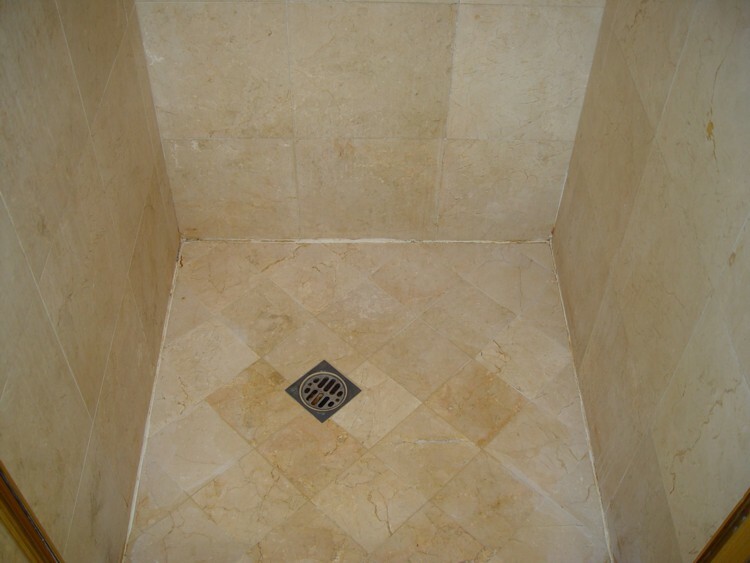 Now you remember why you chose such a beautiful travertine floor! Deep down, dingy grout lines. 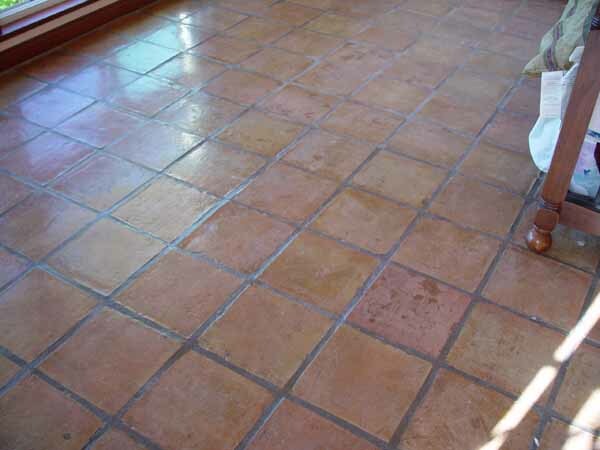 Once again, a beautiful stone floor, cleaned and sealed. Here we chronicles many of our services in a detailed visual and narrated format. It has been assembled and presented to you in a user-friendly, informal manner.